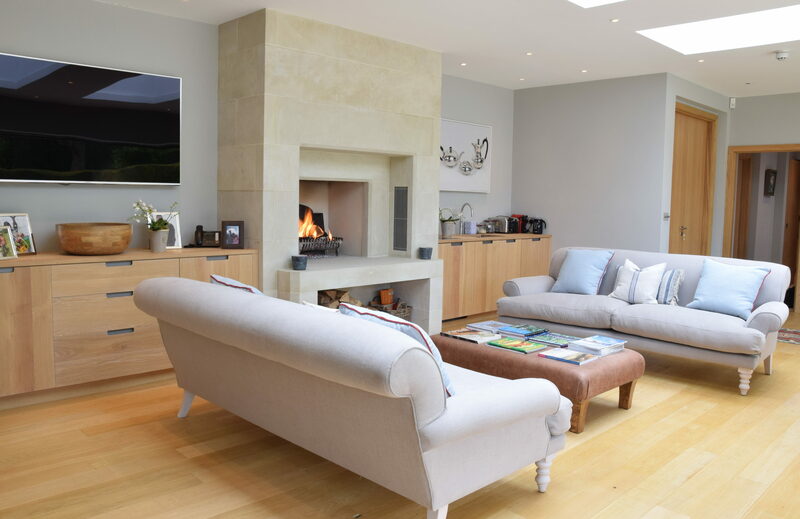 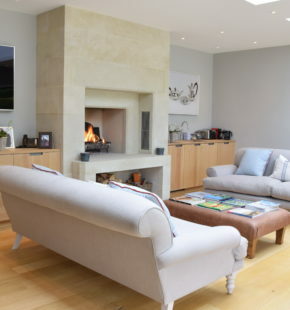 This beautiful space with it’s open fire and comfy sofas, really is the archetypal bolthole. 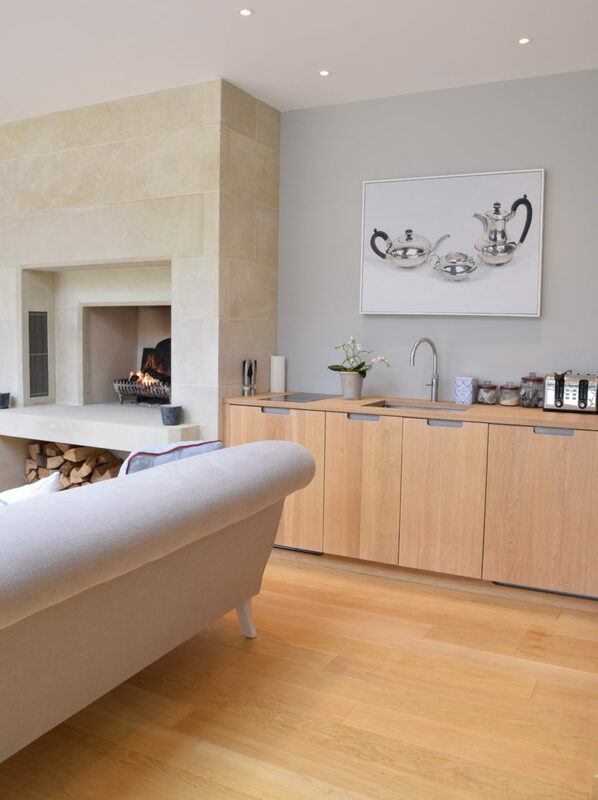 Perfect for entertaining, it has enough kitchen space to be able to make and serve a simple salad lunch for friends staying in the main house or for the owners a quick warming coffee after a swim in the outdoor pool. 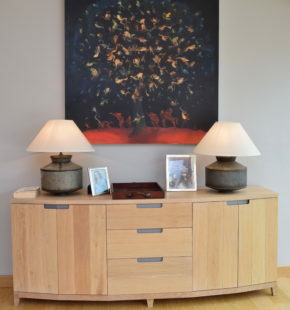 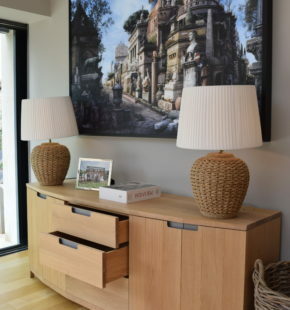 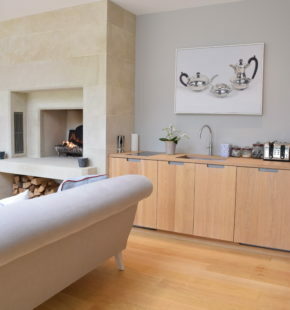 Nick Anderson designed the cabinets both for the kitchen and the two sideboards in oak which was then hand finished in a white oil, so as to soften the look and not appear over woody. 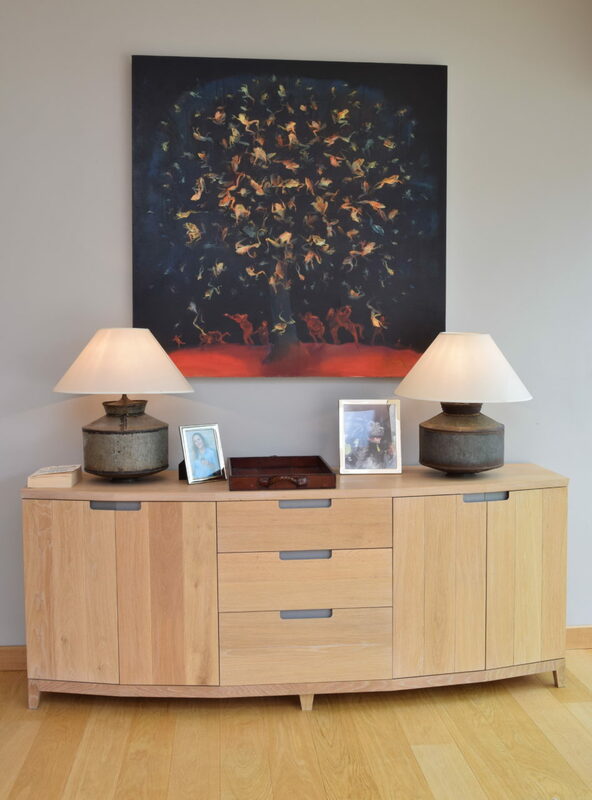 The sideboards are made using a number of flat panels that are all angled to create a curved effect which both add modernity and softness to the furniture, the handles which are specific to Guild Anderson are zinc backed within a cutaway handle. 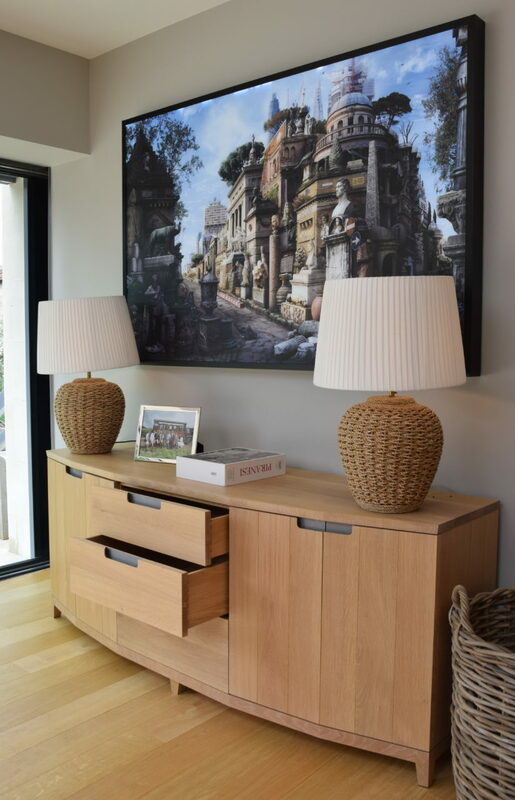 With the addition of some really outstanding artwork on the walls, soft surround sound music this room provides a zen like space that the client can completely relax in.